If you’re younger and less familiar with basketball games from the late 90s and early 2000s, or perhaps if you’re a particular jaded older basketball gamer, you may believe that NBA Live has never been any good. You would be wrong however, as there was a time that NBA Live was the brand leader in sim-oriented basketball games, and the best overall product year-to-year. 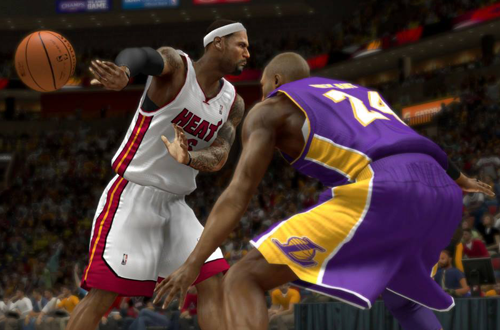 The competition started heating up when NBA 2K came onto the scene (particularly when it ceased to be a SEGA exclusive), but NBA Live still held its own for many years. Unfortunately, it stumbled badly when the Xbox 360 was released, and it came time to make a jump to the new generation. The gameplay in the Xbox 360 version of NBA Live 06 isn’t too bad, at least for the time. It has its flaws, and it should’ve been a bigger improvement over the prior gen version, but it’s reasonably solid. The more pressing issue is its lack of modes and functions that had become staples of basketball games. Both Dynasty and All-Star Weekend were nowhere to be found, and even instant replay was missing. Whenever people say that the depth of modes isn’t important in newer NBA Live games, I point to NBA Live 06 and how it set the series back. It’s a shame because the PC versions of NBA Live 2005 and NBA Live 06 are great, well-rounded games for their era. When NBA Live hit the Xbox 360, it was clear that the prior gen version of the game was going to be an afterthought. This is always the case, but unfortunately for our community, the prior gen version was the one being ported to PC. In short, if you preferred to play basketball games on PC, or you hadn’t upgraded to an Xbox 360, you weren’t going to get the best version of NBA Live 07. Of course, the 360 version of NBA Live 07 was fairly weak as well. Plenty has been written about that, but it’s worth noting that the PC, PlayStation 2, and Xbox version was also disappointing, even as a lower priority release with fewer expectations. On one hand, it’s nice that EA Sports still had a separate team working on the prior gen version. They tried to make it a worthwhile release, even implementing some of the features from the new gen version so that it wasn’t just NBA Live 06 with a roster update. 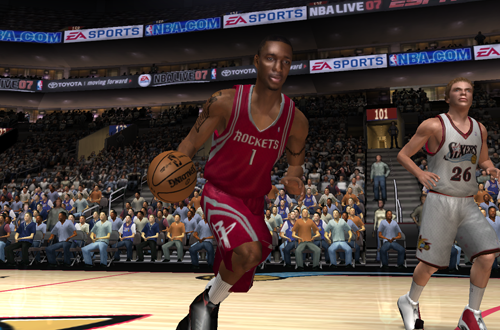 On the other hand, it probably would have been better if they had just released an updated version of NBA Live 06. NBA Live 07 was riddled with issues: fatigue was buggy, the new lineup screen was clunky, artwork was missing, and some of the features from the new gen version just didn’t work out. The PC version also randomly crashes, with the lone official patch fixing very little. It’s a definite step backwards. There’s no way that NBA Elite 11 wasn’t going to make this list. NBA Live 06 may have gotten the series off to a bad start on a new generation of hardware, but NBA Elite 11 came close to killing it entirely. After a couple of promising outings in NBA Live 09 and NBA Live 10, it looked as though EA Sports’ long running basketball series had corrected course. Unfortunately, the decision was made to change course again, and it was not the right direction at all. First, there was the name itself. NBA Elite doesn’t roll off the tongue as easily as NBA Live does, and while the branding change did underscore a new direction, it threw out all sense of history and nostalgia. In hindsight, of course, it was fortunate that the failed game bore new branding, as it probably would’ve done even more damage to the series had it carried the NBA Live name. Basically, almost everything about the new direction was a bad idea. Elite 11 took cues from the NHL series that weren’t suitable for basketball games. A lack of a sprint control threw off the pace of the game. Right stick shooting had merit, but the way it was implemented facilitated three-point hook shots. 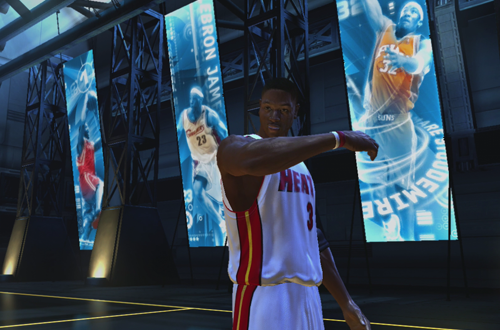 Mike Wang, whom EA had lured away from Visual Concepts, quit and returned to NBA 2K. 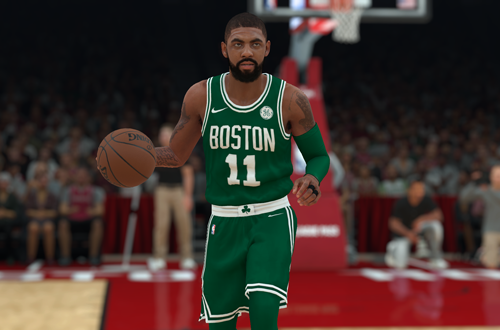 The series is finally finding its feet again, but it’s been a long road back from NBA Elite 11. Every list such as this needs at least one controversial or highly subjective entry, and this is it. It’s a choice I stand by, however. I really enjoyed NBA 2K13, as it was the first time I truly felt comfortable with NBA 2K’s controls, and it was the game that got me into MyCAREER, leading to a really enjoyable experience. NBA 2K14 just left me cold, which was disappointing after I had so much fun with its predecessor. Sure, there were some improvements such as the ability to actually block dunks, and fine additions such as the Euroleague teams. However, teammate AI felt a lot weaker (especially on defense) while the CPU’s ability to drive seemed overpowered. Overall, the gameplay experience just didn’t feel right to me. The same can be said of the PlayStation 4 and Xbox One version. While I think it’s fair to say that the OMG Trailer blew us all away, when I got my hands on the game, it had many of the same issues that prior gen did. It also had one of the worst menus we’ve seen in basketball games. Not only was it cumbersome to navigate, it also caused issues with the save slots. A lot of roster editing features were lost, the new MyGM mode didn’t have the flexibility of Association, MyCAREER was now story-driven, and VC became more intrusive. I honestly feel it’s one of the most overrated games in the NBA 2K series. My opinion of NBA 2K18 is quite similar to my take on NBA 2K14: I loved playing its predecessor, but was disappointed by the following game. 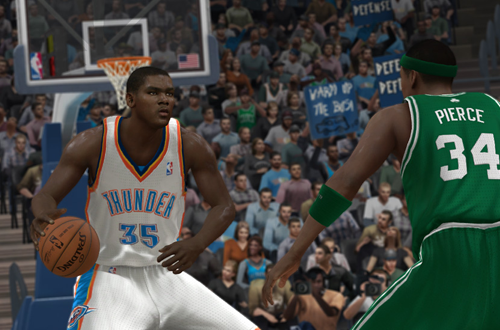 For all their success, there’s a lot of disagreement over the quality of recent NBA 2K games. Depending on who you ask, any of the last few games are either the absolute best or absolute worst that Visual Concepts has produced. I had a lot of fun with NBA 2K17 despite a few issues here and there, so I disagree with the sentiment that it was bad release. It does seem like there’s more agreement within the community when it comes to NBA 2K18 though, with many disgruntled basketball gamers feeling it was a major blunder. Yes, NBA 2K is basically just competing with its best releases at the moment, and the brilliance of those games sets the bar very high. Nevertheless, NBA 2K18 didn’t meet the quality of its predecessors in several aspects. The new motion system was clunky, an issue that remains in NBA 2K19. Shooting mechanics were also flawed, and many MyPLAYER Archetypes were broken. Developers would even later admit that design choices originally promoted as improvements were bandaid fixes for problems they couldn’t resolve. And of course, there was the infuriating microtransactions debacle. Frankly, the dissonance between “professional” and actual user reviews says it all. What are some other basketball games that took a backwards step compared to their predecessors? Do you have differing opinions about any of the games that I listed? Have your say in the comments section below, and as always, feel free to take the discussion to the NLSC Forum! That’s all for this week, so thanks for checking in, have a great weekend, and please join me again next Friday for another Five. Don’t forget that live 07 pc had direct pass buttons messed up, making the game much harder to play. It did indeed. The patch fixed it, but it’s definitely another example of how it was a buggy release.